4M Traveling Gavel is on the MOVE!!!!! Next meeting on Friday, January 25, 2019. Manahatta Lodge No. 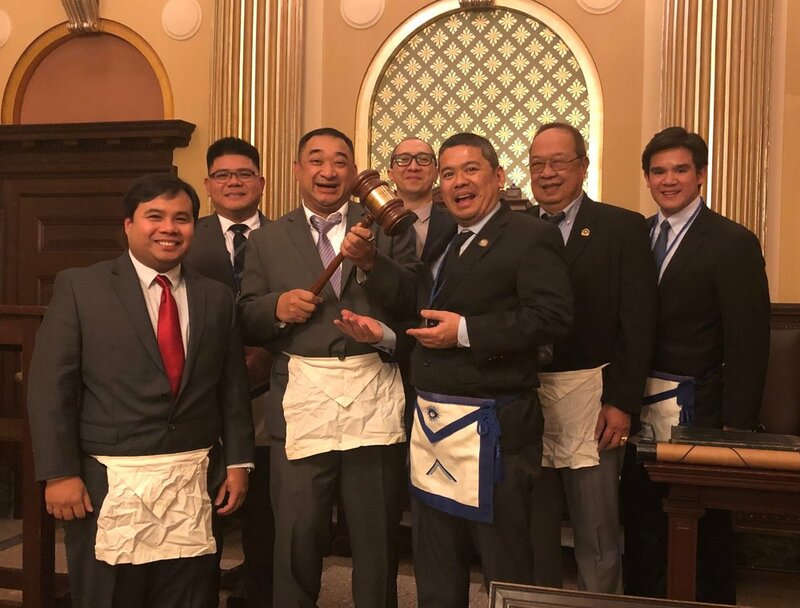 449 obtains the Traveling Gavel from Columbian Lodge No. 484 on Friday, January 18, 2019. Manahatta possesses it again!!! From L-R: Bro. Kahrl Bigornia (Manahatta 449, Tiler), Bro. Ariel Domingo (Manahatta 449, Senior Steward), WBro. Benjie Santos (Manahatta 449, Master), Bro. Kenneth Garcia (Manahatta 449, Historian), WBro. 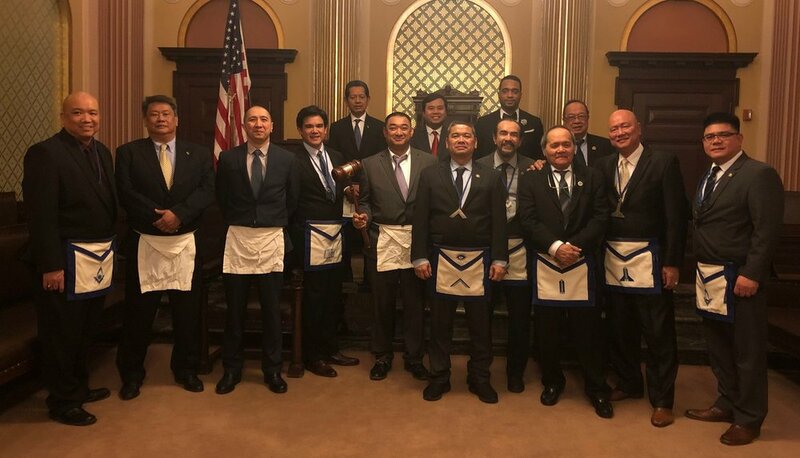 Janzon Teng (Columbia 484, Master), Bro. Lito Belmonte (Manahatta 449, Senior Deacon), WBro. Jephthah Dais (Manahatta 449, Secretary).